And now, the fun begins! 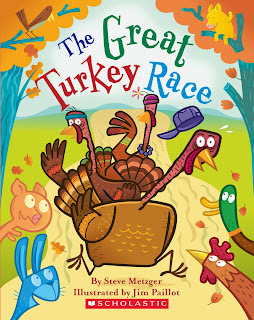 I read the book "The Great Turkey Race" to my kiddos. They LOVED it!! 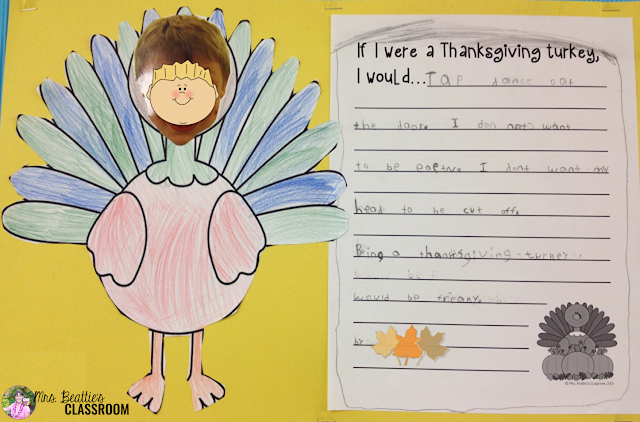 My students thought the silly turkeys in the story who were vying to become THE Thanksgiving turkey were hilarious! 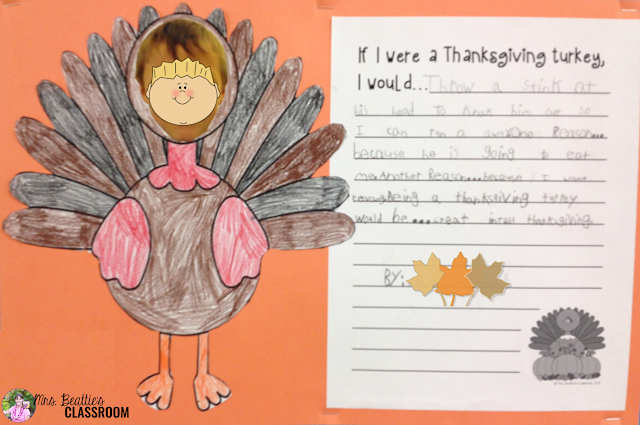 When the story was finished, we discussed what it would be like to be a Thanksgiving turkey at this time of the year. What a fun chat that was! Their ideas were so cute!! Were they ever ready to write after this!! All the girls claimed it would be scary! The boys, however, had some very interesting approaches... Like this one, who said he would "tap dance out the door."! ....or this one, who said he would "Throw a stink (stick) at his head to knock him out so I can run away." 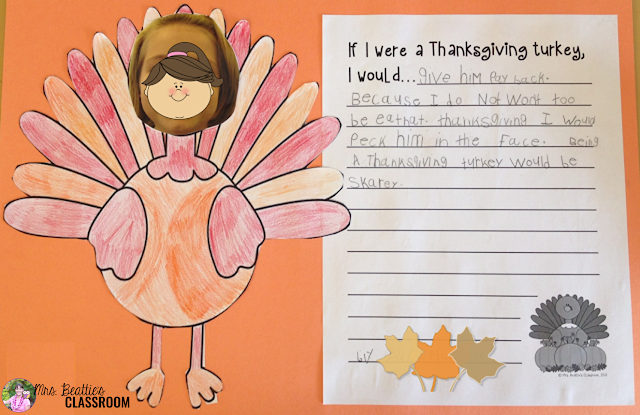 Then concluded with "Being a Thanksgiving turkey would be great... until Thanksgiving."!! 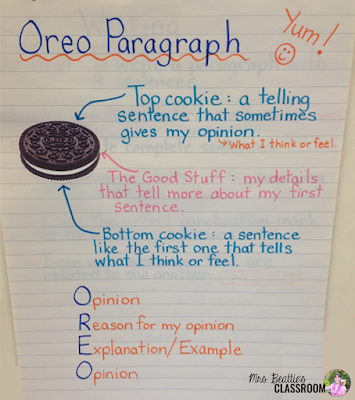 You can grab a copy of this package for use in your own classroom NOW! 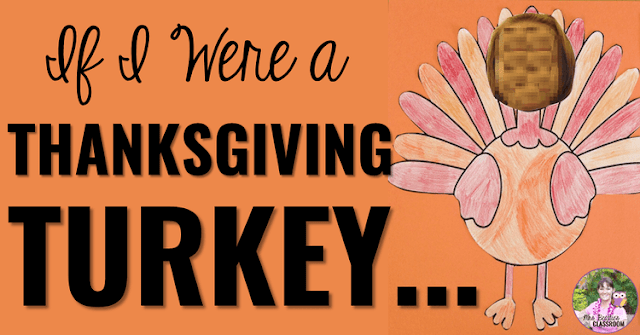 Happy Thanksgiving!!! Enjoy your 4 day weekend holiday! As usual, you're very creative. 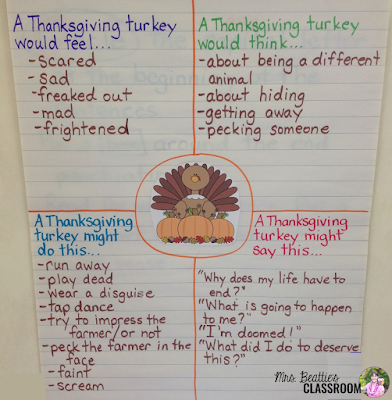 What a great way to discuss perspective! I love it! We're working on traditions and celebrations right now as well! I love how you incorporated it into language! 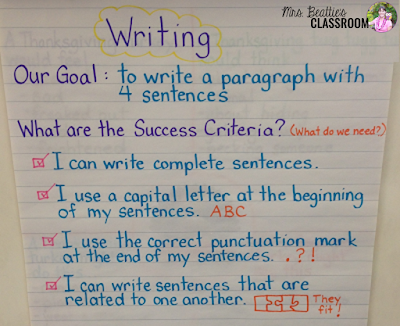 Also, our success criteria for writing right now are pretty much the same as yours! Super cute idea! 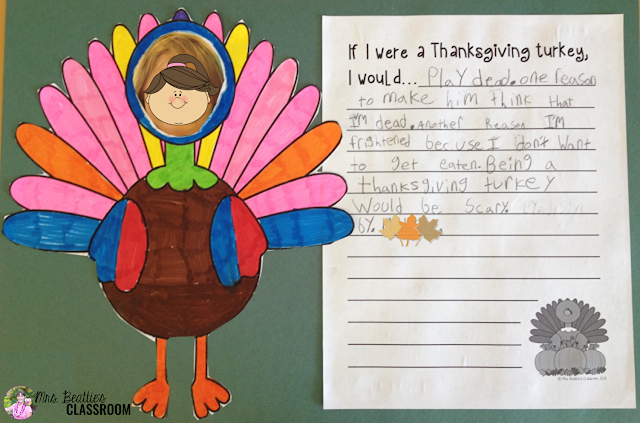 We usually at soccer and then have turkey dinner. This is followed by making a huge pot of turkey soup. Will he doing this! My family thanksgiving will be spent with everyone celebrating my daughters 16th birthday and how thankful we are!